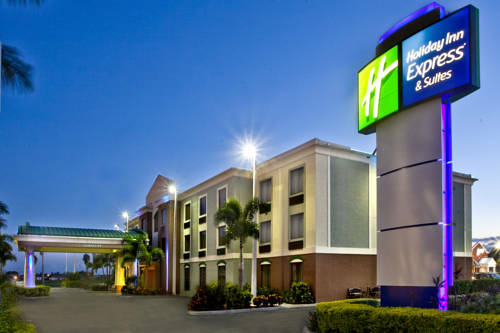 Benefit from Clewiston, Florida Hotel's Excellence Award Whether you're vacationing or traveling for business, you'll find the friendly staff and quality amenities you deserve at the new Holiday Inn Express hotel of Clewiston, FL in the Florida Heartland. Our hotel's location off Highway 80 / 27 gives you easy access to nearby major cities like Fort Lauderdale, Miami, Fort Myers, and Boca Raton. Situated on the shore of Lake Okeechobee the headwaters of the Everglades, our hotel is close to numerous attractions. Explore Lake Okeechobee with a Big 'o' Airboat Tour or enjoy great fishing, play the 18-hole Clewiston Golf Course, or be daring with sky diving. Our hotel's staff in Clewiston can suggest numerous shops, restaurants, and historic locations within minutes of our hotel. Clewiston, FL is home to the United States Sugar Corporation, Southern Gardens, Okeelanta, Hendry Regional Hospital, Alico Incorporated, and other major companies. If you need to host a meeting during your stay in the Florida Heartland, our hotel's boardroom and 24-hour Business Center are available. From a 24-hour Fitness Center and outdoor, heated pool and whirlpool to the daily newspaper and Express Start hot breakfast bar, we go beyond other hotels in Clewiston to offer the complimentary amenities you deserve. Call today to book a well-appointed, 100% nonsmoking room or suite for your stay at the new Holiday Inn Express hotel in Clewiston, FL.